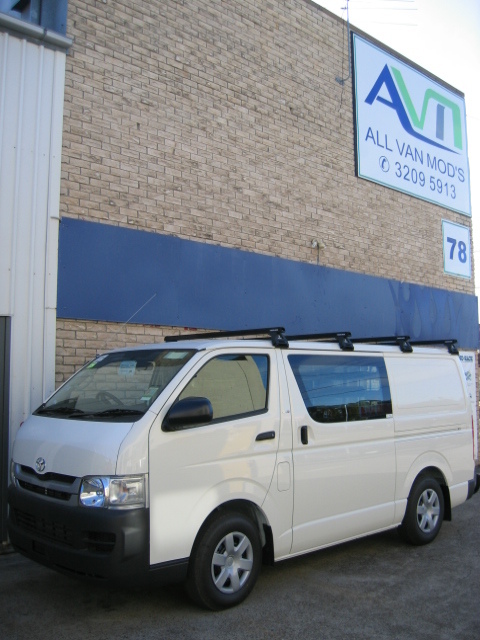 AVM can help you out no matter what your roof rack or shade covering requirements. 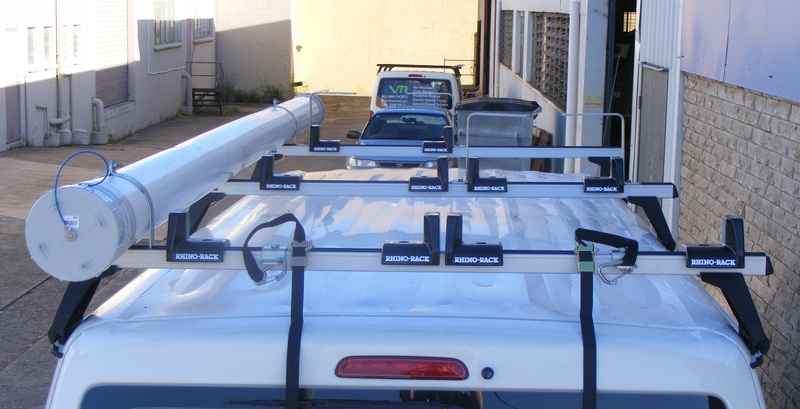 AVM supply and fit the full range of Rhino roof racks systems and accessories for all types of vehicles. 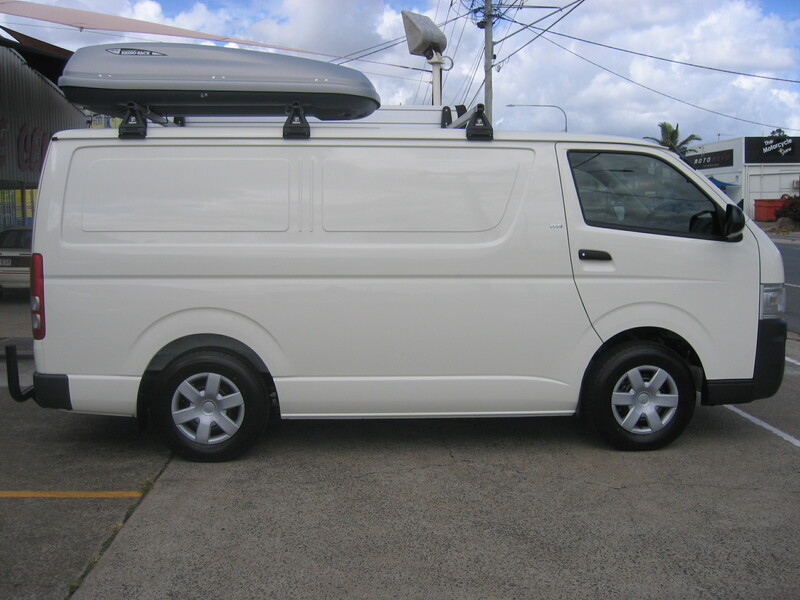 From standard 2 bar sportz bars up to full Telstra type tradesman racks or perhaps a boat loader for the weekend getaway. 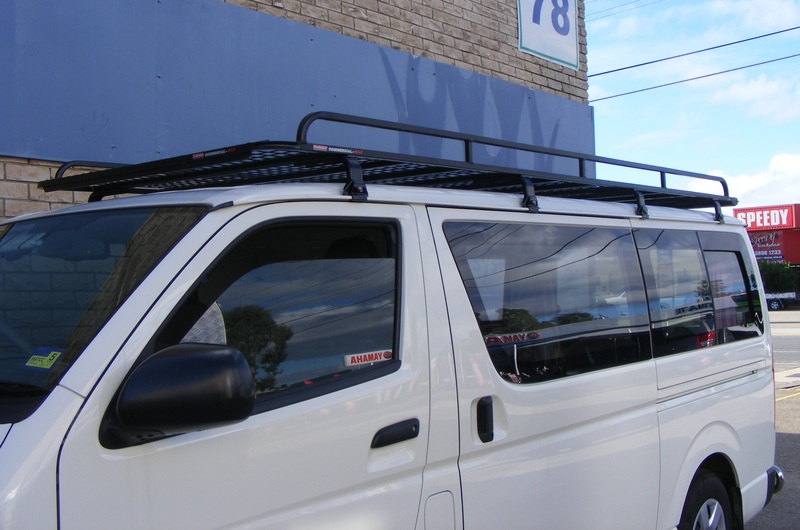 Offer either a steel or alloy complete roof basket custom made to your specifications. With either round or square tube options, open ended or fully enclosed sides added extras include mesh floors and different height requirements. Finishes include polished alloy or powder coating. We offer several types of awnings depending on your budget and ease of use! Great for camping, travelling, fishing, sporting events and of course any place where protection from the elements is required. These user friendly wind out awnings are start of the art, within a matter of 30 seconds you can create the ideal relaxation space for those hot summer days or escape from unexpected wet weather anywhere. 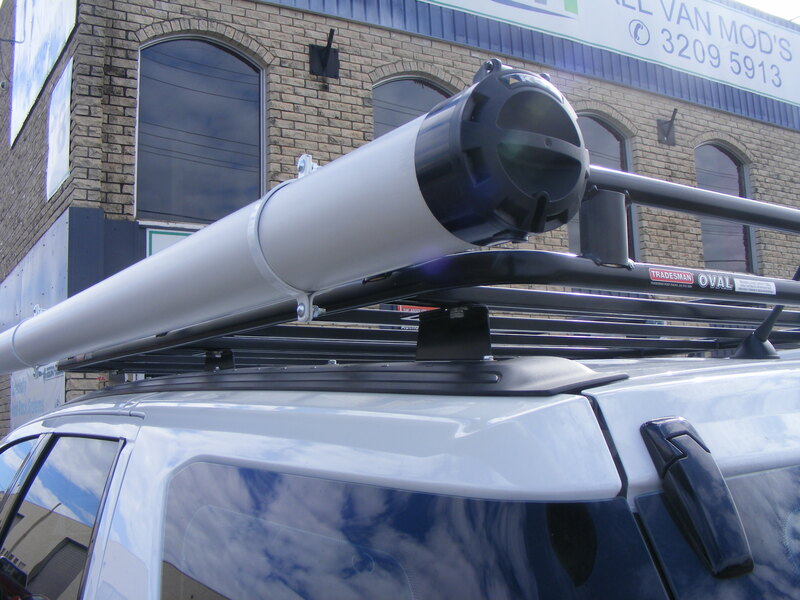 The awning legs can be free standing on the ground or be anchored to a point on you vehicle, caravan, trailer or camper. These awnings are well constructed employing a rot proof and scratch resistant fabric that has a high resistance to harmful UV rays. These units are available in sizes from 2.5 to 5.0 metres. 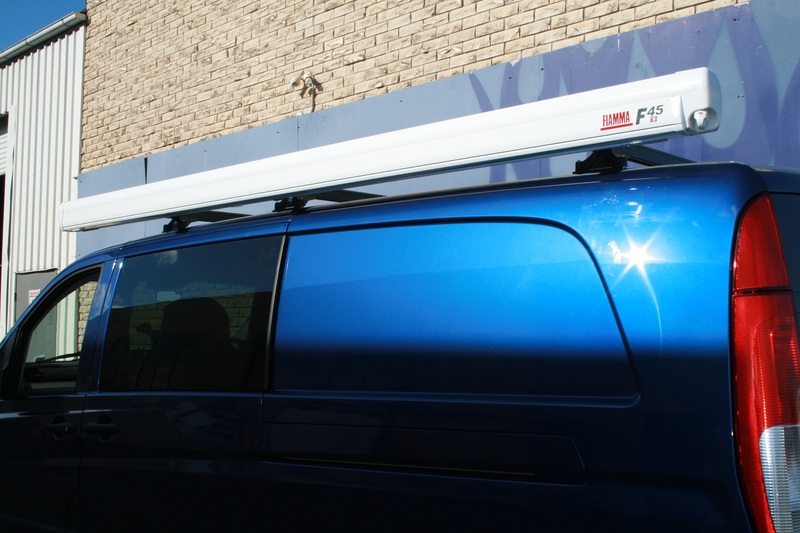 The Foxwing awning covers 50% of the area around the vehicle by being mounted to either the passenger or drivers side and pivoting open from the rear corner of the mounted side all the way to the opposite rear corner of the vehicle. The Sunseeker is 2.5m long x 2.0m wide. Also available is an extension piece that attaches to the outside edge of the Sunseeker adding another 2 metres in width. 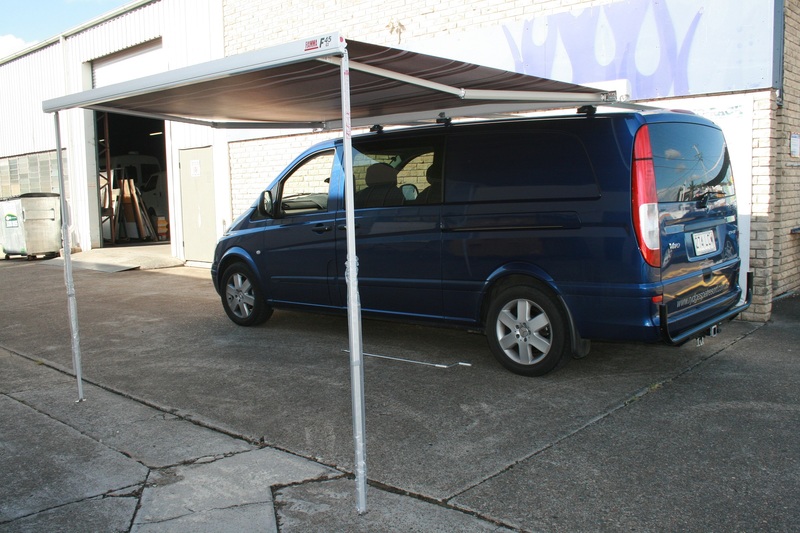 Both Awnings mount directly to your Rhino roof racks. offer the ‘Open Sky’ an economic manual awning available in three sizes 1.25m, 2.0m and 2.5m all x 2.1m wide. This range can easily be mounted on any vehicle from Long Wheel base to Short Wheel base and even across the back of the vehicle. Can also be easily used on campers, caravans, recreational vehicles and Compact SUV’s. Full mosquito nets are available to suit this range.